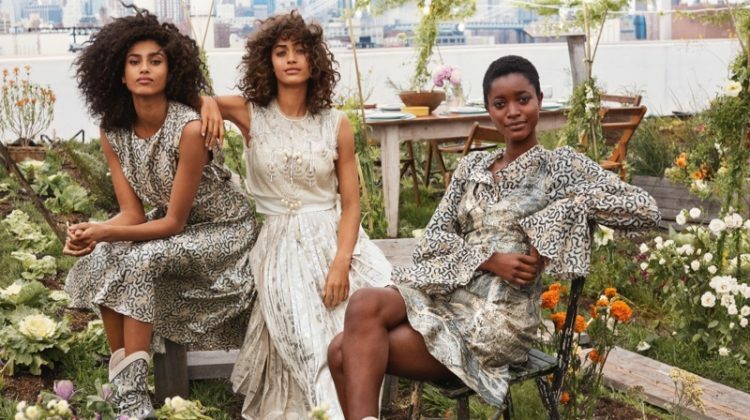 All That Jazz – Herieth Paul takes on jazz inspired styles for Max Abadian’s elegant images featured in the April edition of Canadian magazine, Flare. 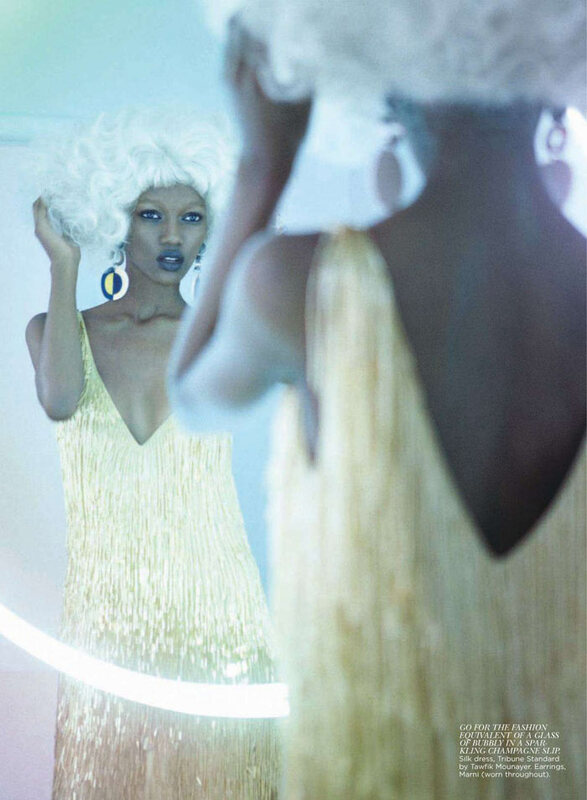 Wearing a wardrobe of glitzy dresses and fringe styled by Elizabeth Cabral, Herieth luxuriates in the creations of Gucci, Marc Jacobs, Dolce & Gabbana and others in a backstage setup. Blonde hair and dark lips by beauty artist Genevieve Lenneville perfect the retro ensembles.